2 And when Hezekiah saw that Sennacherib was come, and that he was purposed to fight against Jerusalem. 3 He took council with his princes and his mighty men to stop the waters of the fountains which were without the city; and they did help him. 4 So there was gathered much people together, who stopped all the fountains, and the brook that ran through the midst of the land saying, Why should the kings of Assyria come, and find much water? ​ 5 Also he strengthened himself, and built up all the wall that was broken, and raised it up to the towers, and another wall without, and repaired Millo in the city of David, and made darts and shields in abundance. 30 This same Hezekiah also stopped the upper watercourse of Gihon, and brought it straight down to the west side of the city of David. 20 And the rest of the acts of Hezekiah, and his might, and how he made a pool, and a conduit, and brought water into the city, are they not written in the Chronicles of the kings of Judah? "(Behold) the excavation. Now this is the history of the breaking through. While the workmen were still lifting up the packaxe, each toward his neighbor, and while three cubits yet remained to (cut through, each heard) the voice of the other calling to his neighbor, for there was an excess in the rock on the right... And on the day of the breaking through, the excavators struck, each to meet the other, pickaxe against pickaxe; and there flowed the water from the spring to the pool over (a space of) one thousand and two hundred cubits. And ... of a cubit was the height of the rock above the heads of the excavators." ​ To the average scholar reading the above quotations, it would seem obvious that it was King Hezekiah that had the tunnel built to keep the water from the Assyrians and to insure a good water supply for his own people. Not so, however, for those that enjoy questioning the inspiration of the Bible and hesitate to use it as a tool in their research. Included in this number are Ronny Reich and Eli Shukron who have published an article called The date of the Siloam Tunnel Reconsidered. 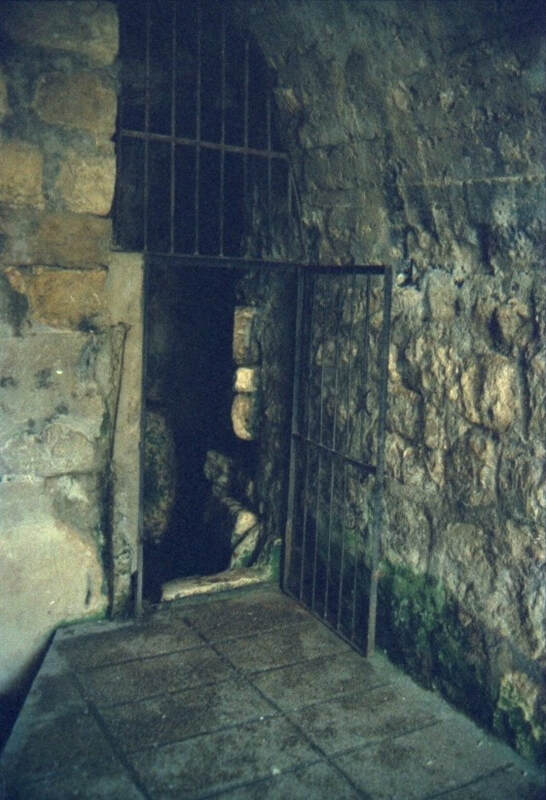 In their article they concluded that Hezekiah's Tunnel should be called the "Siloam Tunnel" and that it was probably built in the 9th century, before Hezekiah ever became king. Surprisingly, another group of Israeli scientists from the Geological Survey of Israel has also concluded that Hezekiah did not build the tunnel. Their research, however, does not give an earlier date to the tunnel, like Reich and Shukron, but a later one. They say that Hezekiah didn't have time to dig the tunnel and have assigned the date of the digging to the reign of his son, Manasseh, after the Assyrian conquest. 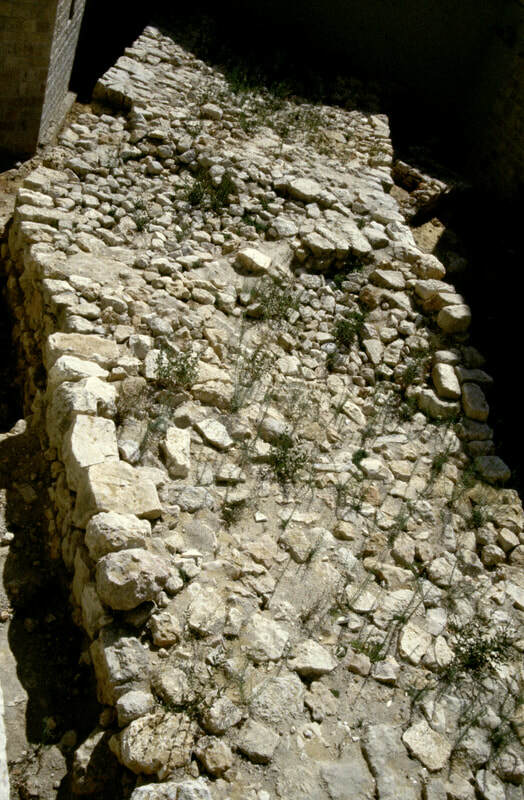 Hezekiah's"Broad Wall" in the Northwest part of Jerusalem was built using materials from houses which were broken down for that purpose. Notice corner of house in upper right of photo with the wall running right over it. ​Ye have seen also the breaches of the city of David, that they are many: and ye gathered together the waters of the lower pool. And ye have numbered the houses of Jerusalem, and the houses have ye broken down to fortify the wall. Ye made also a ditch between the two walls for the water of the old pool: but ye have not looked unto the maker thereof, neither had respect unto him that fashioned it long ago.